The United States is facing an epidemic of diseases that is largely related to the endocrine system. Diabetes, metabolic syndrome, insulin resistance, adrenal fatigue, hypothyroidism, hyperthyroidism and many more diseases affect over half of our population!!! When it is in trouble you can suffer from all sorts of health problems, including weight gain or extreme weight loss, fatigue and depression, heart disease and hair loss. Endocrine system disorders can also lead to a weakened immune system, which leads to susceptibility to illness and infections. It is far better to prevent disease than have to treat it! 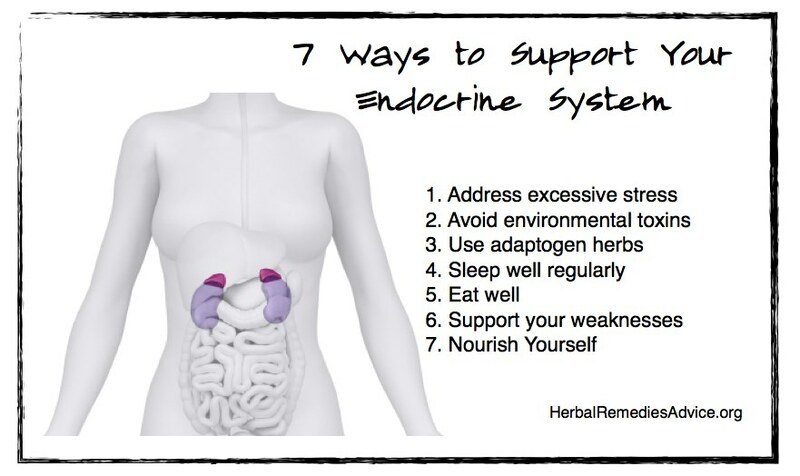 Here are 7 steps to a natural endocrine system health to keep you on a track for health and well-being. These steps are also crucial if you already have an endocrine imbalance to move you towards health and wellness. 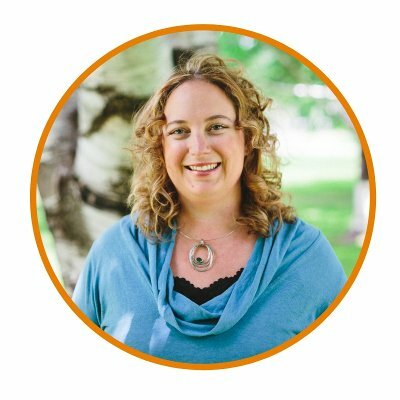 We all know that stress is bad, yet changing our stressful lives while living in a culture that promotes stress is like swimming upstream. But just because something is hard, it doesn’t mean it can’t be done. Stress is a major cause of illness in the endocrine system. 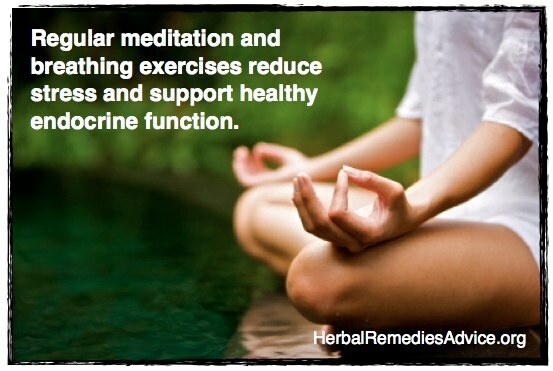 It zaps your adrenals, which can lead to adrenal fatigue. This is characterized by extreme fatigue, burn out, often times depression and sometimes insomnia. When you are stressed your adrenals produce the hormone cortisol. Consistent and excessive levels of cortisol can lead to many health problems, including heart disease, diabetes, extreme fatigue, weight gain and osteoporosis. So be the fish that heads up river! Evaluate your life in order to simplify it. Do less! Then develop habits and practices that support your well-being, like yoga, Tai Qi, regular time spent in nature, relaxing vacations and regular movement. Find peace and time for rest and relaxation every day! We live in a toxic world. 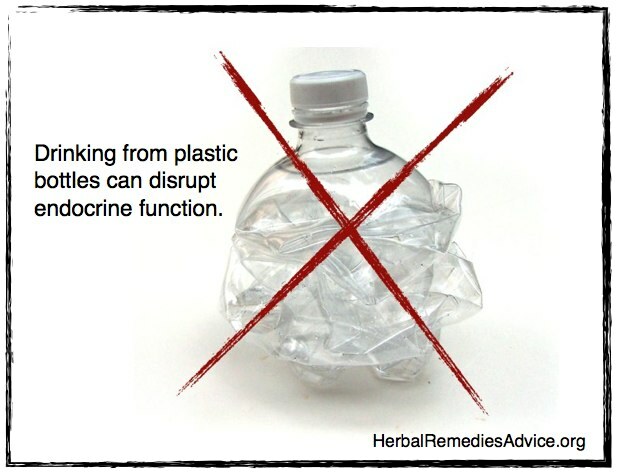 From poor air quality to harsh chemical cleaners to plastic bottled water there are proven endocrine disruptors saturating our daily lives. There are countless endocrine disruptors that have been proven to cause many types of cancer, including ovarian cancer, thyroid cancer and breast cancer. You can avoid a lot of endocrine-disrupting chemicals by eating organic foods (many pesticides are endocrine disruptors), avoiding eating or drinking out of plastic containers, using only natural beauty products and natural household cleaners. Bromides - found in hot tubs, bakery items, soft drinks, plastics and even soft drinks, they negatively effect the thyroid gland. Triclosan - found in many cleaning products, anti-bacterial soaps, and beauty products, it is a known endocrine disruptor, specifically for reproductive disorders. Phthalates - commonly used to soften plastics and thus found in malleable plastics such as water bottles, as well as hair spray and nail polish. Adaptogen herbs can be described as deep nourishment for our total well-being. They can build, tonify and nourish our system for increased overall health. 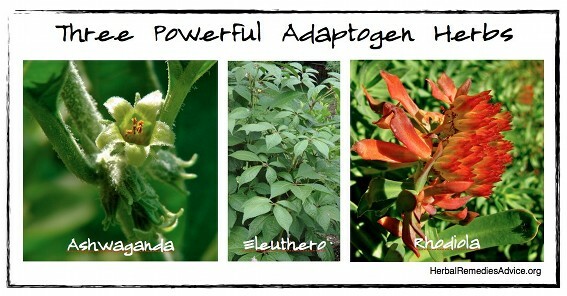 Adaptogens are generally mild but persistent and effective in action. They are generally taken in large amounts over long periods of time. Adaptogens can be taken by most people for improved well-being, although it is important to correctly match the herb to the person. I often use adaptogen herbs for people with adrenal fatigue and thyroid disorders. Easily one of my most favorite herbs from Traditional Chinese Medicine, I consistently reach for astragalus for people who need gentle, nourishing herbs to support their overall health. I often use astragalus with people who have adrenal fatigue, who frequently get colds and flus or have seasonal allergies. From the Ayurvedic tradition, ashwaganda is a supreme herb for restoring endocrine system health. I often use it for people who are simultaneously burnt out and are having trouble getting a good night’s sleep. This can also be a very important herb for people with adrenal fatigue. Licorice directly supports the adrenal glands (an important part of the endocrine system). Formerly called Siberian Ginseng, this little wonder can markedly improve a person’s stamina and well being. This herb is perfect for athletes or for people who seemingly run a marathon each day of their life (work, home, school, etc). 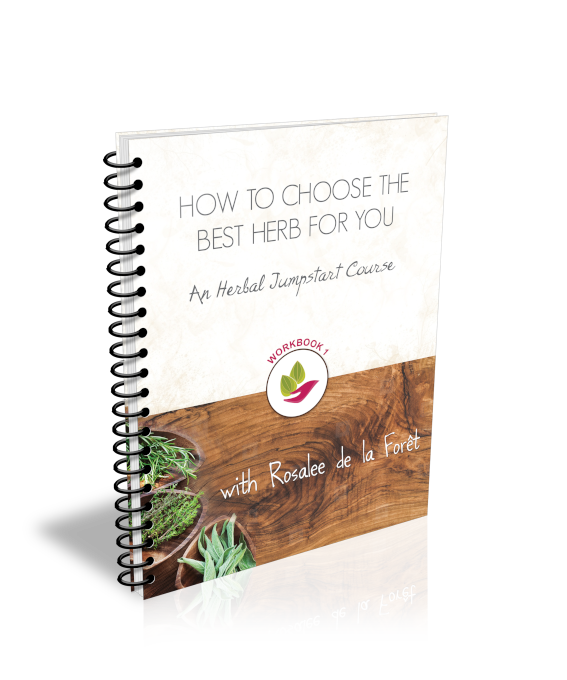 You can obtain all these herbs at Mountain Rose Herbs. Habitual, deeply restful sleep is one of the most powerful things we can do to support endocrine system health. Even as little as one night of sleep deprivation creates a hormonal imbalance! Yet, many people go night after night on too little quality sleep. Many people I work with seem to think of a healthy night’s sleep as a luxury! Culturally we look down on those who “sleep too much” as being lazy and we tease them for being “sleepy heads”. But consistent restful sleep is not a luxury. It’s a foundation for your overall health and well-being. Restful sleep can actually make you more productive! I encourage you to look at your life and prioritize sleep to ensure you get enough. In both Traditional Chinese Medicine and Ayurveda it is recommended to be asleep before 10 pm. Everyone needs a different amount of sleep, but the key is that you wake feeling rested and ready for your day. Herbs and lifestyle changes can help support you if you are having difficulty falling asleep, or if you wake frequently in the night. I believe strongly in a personalized diet. There is simply no one way for all people to eat. Someone may need more protein or fats in their diet, while another may do better on a diet based mainly on vegetables. However, there are a few key principles when considering how to eat in a way that supports the endocrine system. Seafoods, including seaweeds, are important sources of iodine, which is crucial to thyroid health and for preventing thyroid disorders. Goiters used to be much more commonplace in our society until iodine was added to salt. However, just because goiters have all but disappeared doesn’t mean that we have adequate iodine intake! Include seaweeds and healthy sources of fish into your diet weekly. For those dealing with insulin resistance or diabetes, a low-carb diet is crucial to maintaining health. Whether you call it a paleo, Atkins or simply low-carb diet there is no doubt that this way of eating lowers blood glucose levels and over time can dramatically improve your endocrine system health. Besides cutting way down on carbs and sugars this diet accentuates leafy green vegetables, proteins and a good supply of healthy fats. Oftentimes we know where our weaknesses lie. Perhaps there is a strong family incidence of thyroid disorders. Perhaps your doctor has already told you that your blood glucose levels or A1C levels are not ideal, thus leading you on the path to diabetes. Or maybe you know that as stress builds in your life your quality of health takes a nose dive. In some ways it is a blessing to know your weakness. If you know where the weakness is, you can support yourself daily to avoid further complications. Many endocrine system diseases can be reversed or significantly improved by taking care of yourself. However, hiding your head in the sand by continuing to eat lots of sugars when you know you have poor blood glucose readings, or by continuing to lead a high-stress life when you know you are facing adrenal fatigue, will undoubtedly come back to sting you in the long run. Know your weakness and support them. Make good choices every day to live a healthy life. Creating regular “me time” when you luxuriously nourish yourself is like food for your soul (and endocrine system). How often do you prioritize joy, rest and leisure in your life? How often do you regularly take care of your body with restorative practices like yoga, Tai Qi, Qi Gong, dancing, meditation and spending time in nature? Seldom? What are you waiting for? Prioritize YOU and your good health.